The Ryukin is characterized by the large dorsal hump that starts near its neck and makes its head look quite pointed. Ryukin breeders have sought to enhance this dorsal hump in order to make the fish seem particularly tall. Ryukin goldfish come in color variants of red, white, black, blue, chocolate, bi-color and calico. They can also be found with fringe tails, ribbon tails and butterfly tails, in addition to the standard fan tail variant. Ryukins are extremely hardy and make excellent pets for the beginner aquarist. They can thrive both in aquariums and ponds. However, as fish bred to be viewed from their sides, they look best in the aquarium. 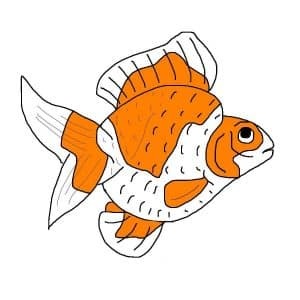 Care should be taken to ensure that the Ryukins kept in ponds have adequate water depth because they require more vertical space than other types of goldfish. The Ryukin’s distorted body shape sometimes results in food being trapped in their intestinal tract, which leads to constipation. Overfeeding can cause such side-effects, but feeding pealed green peas will often help clear the intestinal tract. Ryukins are fairly good swimmers and can out-compete slower and weaker breeds of goldfish, such as Bubble Eyes and Celestial Eyes. 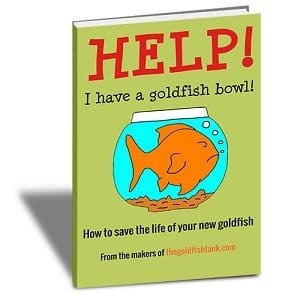 They can also bully smaller and weaker species of goldfish. For this reason, Ryukin goldfish should be kept with fish of comparable size and temperament. Given proper care Ryukins often reach lengths of around six to eight inches and can live for well over a decade. 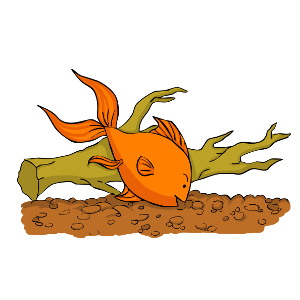 Ryukins spawn as readily as other goldfish and can be induced to spawn both in aquarium and pond environments. While they are not usually aggressive towards each other, they can sometimes be more aggressive during spawning season. When choosing Ryukin goldfish it is important to look out for fish whose dorsal humps rise noticeably from the neck backwards. Higher backs are more desirable in Ryukins and it is not uncommon to come across fish which are taller than they are long. The Ryukin’s dorsal fin should be very high and erect and curve gently backwards. 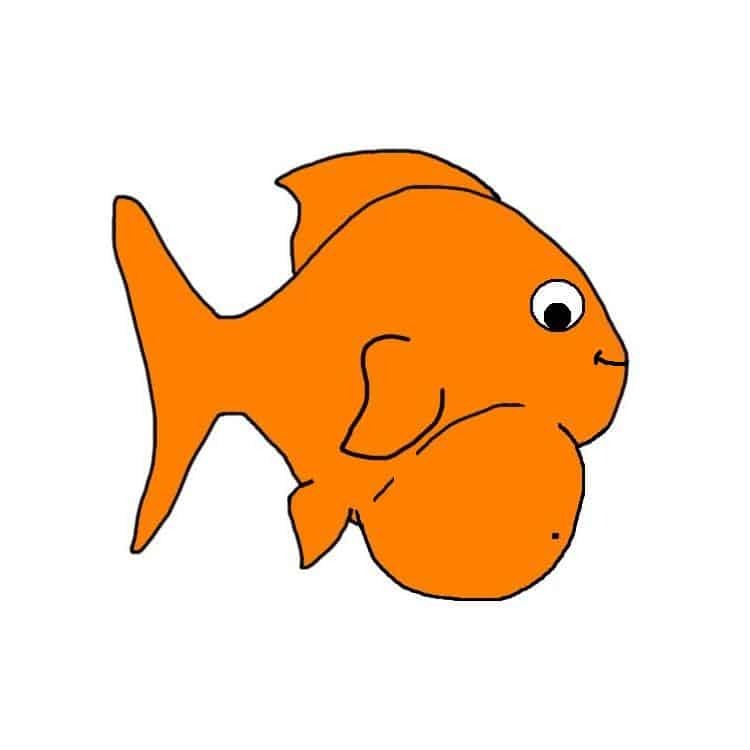 Pregnant goldfish: Can goldfish get pregnant?